Four years ago, Daniel Howie was on the cusp of national success as front man of the Charlotte alt-rock band Sugar Glyder when he walked away from the music biz and began working as an IT recruiter. 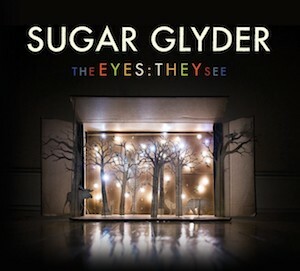 After recording and releasing a handful of indie records to growing acclaim throughout the 2000s, Sugar Glyder had signed with the Warner Bros. Records subsidiary ORG Music in 2012, and the following year released its major-label debut, The Eyes: They See. "We had personal issues within the band," Howie remembers. "It wasn't drugs or violence or anything like that — it was just issues with responsibility, the stresses and strains of touring, the new stresses of being signed and playing with somebody else's money. The members of the band just weren't getting along." Shortly after the album came out, Sugar Glyder released an acclaimed video for one of its tracks, "Lost in the Woods," and began touring. But soon thereafter, bassist Emily Aoyagi had had enough of the drama and quit. Sugar Glyder recruited Robby Hartis, the bassist of Charlotte's The Lights, Florescent, whom Howie calls "a super-awesome dude. He really jump-started the band." "We tried to address them and fix things but they just didn't get fixed," Howie says. "It got to the point where other members were going to leave, and I didn't want it to come to blows, or to an explosion onstage." He looks away, pensive. "I didn't want it to become a Liam and Noel Gallagher thing," he goes on, referring to the famously fighting brothers of Oasis. "We all cared about each other and the band. That's why you have that kind of friction. But I wanted the memories and the importance of what Sugar Glyder was to this city to remain positive." 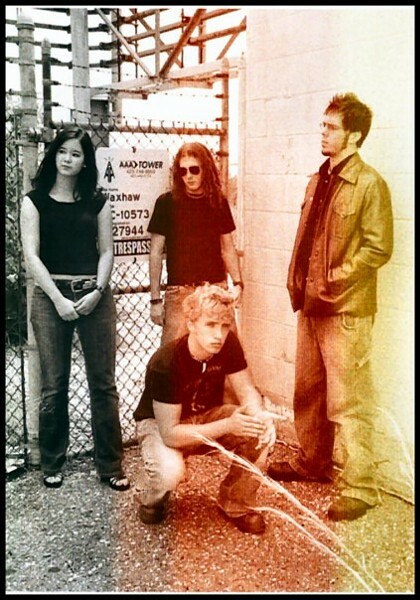 Sugar Glider in 2005: Emily Aoyagi, Chris Rigo, Cory Lambert (standing) and Howie (stooping). Howie pulled the plug on the group and moved on to his career as a recruiter, eventually joining the technology-based marketing and sales company Red Ventures, where he still works today. But while he left the stage and the acclaim of being the front man of an up-and-coming rock outfit, he never completely left music. In 2014, Howie started collaborating with Charlotte drummer and producer Mark Eckert on a solo project he called Mouth Sounds. The two began tinkering with loops and other sounds, Eckert bringing a fresh new electronic sensibility to Howie's sugary pop. The result is Mouth Sounds' debut seven-song EP Sing or Swim, released digitally last year and coming out in physical form this week. 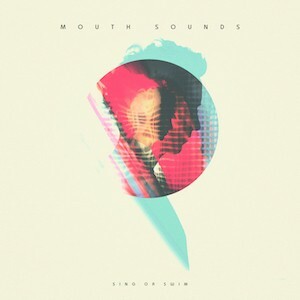 Mouth Sounds will perform an album-release show at the Visulite September 21, and Howie says he couldn't be happier with the low-key, more organic way that his latest project has come to fruition. "When we started out, I had no idea what I wanted to create," Howie, 33, says. He's sitting at Amelie's Bakery — not the hip one in NoDa, but the suburban one at Carmel Commons in South Charlotte — looking, he notes with a laugh, "pretty fly" in a grey, button-down collar shirt, black jeans and combat boots. Mouth Sounds' "Sing or Swim"
"Working with Mark, I was able to just be myself," he says. "I know what I like and that's what I always write. So we sat down and created a foundation of seven songs, started working on a story, and started building on the idea of, 'What is Mouth Sounds? Who is it for?'" The name comes from the way Howie composes. He'll come up with a melody and begin humming it and then singing it, initially forming gibberish lyrics. "It's very phonetic, the way I write," Howie says. "It always starts out with a song in my head that I wish was a real song. It's usually a hum or a sound, and then just random consonants and vowels. Then I'll put chords to it and I'll play off the rhythms of whatever I'm hearing and feeling. "The meaning and lyrics take a back seat," he says. "They don't come until later." Howie addresses that process on the EP's first single "In the Night," over a bright buzz of keyboards and a heavy electronic beat: "Don't get carried away with the words on the page," he sings, "they're just words anyway." The song is a notable departure from the slick harmony guitars of Sugar Glyder tunes like "Lost in the Woods," and certainly a far cry from the band's earlier, heavier songs, such as the title track of its 2009 LP Poor Baby Zebra. "I wanted to take a different approach to this album," Howie says. "Coming off the heels of being in an environment of working with others in all that strife and conflict, I wanted to be open to different collaborators. I wanted to invite new people in and just let the organic nature of the collaborations come out under the name Mouth Sounds." In addition to Eckert, Howie enlisted New York bassist Sam Enright and sax player Ryan Saranich, who plays in the Pink Floyd tribute band Brit Floyd and provides subtle touches to "In the Night" and the quirky "Slow DiMaggio." Eckert, a full decade younger than Howie, was thrilled to be part of the project. "I'd been a big fan of Sugar Glyder back in high school," Eckert says. "I loved how they incorporated synths in their sound. 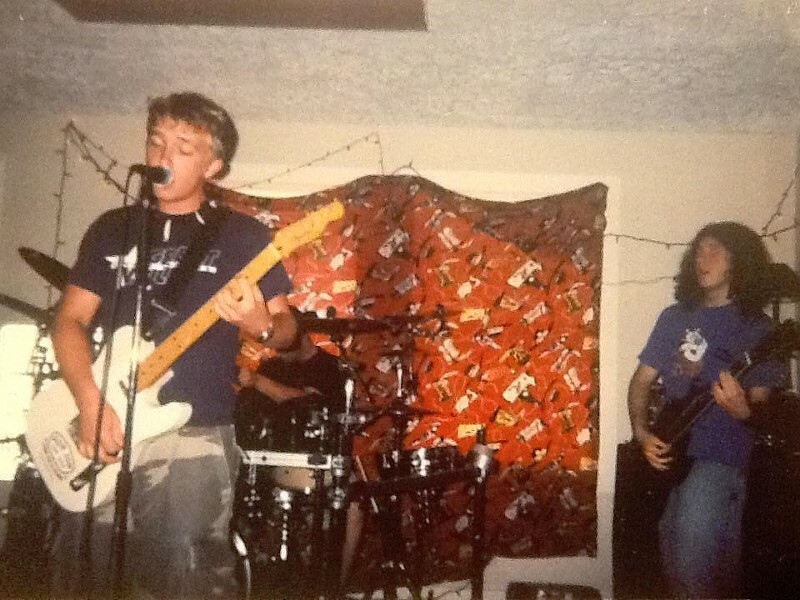 Not many bands in Charlotte were doing it back then, and I really felt like they were pushing boundaries for an indie band." 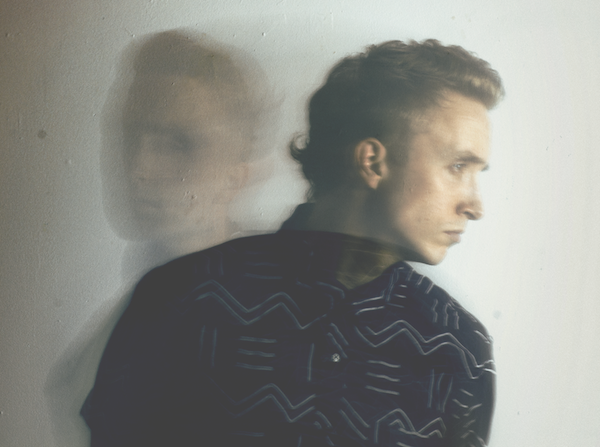 When he heard an early solo mix of "Higher Ceilings," a track on Sing or Swim, Eckert says, "I immediately shot a message via Facebook and asked if he wanted to hang out. After meeting up and talking, we were pretty dead set on making a record together." Eckert helped bring out the crisp, percussive elements in tracks like "Higher Ceiling" and "Marigold," the album's wistful closer. "I had been toying with backing tracks, synth programming and triggers since I was in early high school, and I've been playing with artists since then that only do that," Eckert says. "So immediately I said to Daniel, 'Let's just go for it. Let's put in all the sounds we can, and the logistics of the show can be figured out later. It ended up working out great." The collaboration has made Howie feel alive again. "I had about 80 or 90 songs on my computer," he says. "A lot of it had spun off into Sugar Glyder stuff — songs we ended up recording as a band — but some of it stayed dormant." He pauses. "I mean, I'd been doing this since I was 16 years old. I have so many ideas floating around." Daniel Howie wasn't always so open with his music. His dad John and uncle Eddy Howie were members of the '70s- and '80s-period AOR pop-metal band Sugarcreek (think Kansas, Foreigner, Loverboy), a Charlotte act that eventually landed on the pre-American Idol TV show Star Search, where they performed two songs — "Rock the Night Away" and "Here We Go Again" — to great fanfare. At first, Daniel was too shy to play music around his father, who was also a bodybuilder and owner of the Enterprise Fitness gym in Monroe. Daniel dabbled a little on a Casio SK-1 synth and eventually got himself a cheap Peavey guitar. "But I didn't feel comfortable doing it in front of people," he says, "because my dad had been in this big rock band. Those were big shoes to fill." By high school, Howie had discovered his own musical preferences — acts like Weezer, Foo Fighters and Jimmy Eat World. He and childhood friend Chris Rigo started playing in cover bands at parties, but when Howie went off to North Carolina State University in Raleigh, the two separated for a couple of years. At college, Howie worked as a DJ for the campus radio station, where he fell in love with Britpop. When he came back to Charlotte to study at UNCC, he and Rigo formed Sugar Glyder. Their first show was at the now-demolished Fat City in NoDa. Howie and fellow Sugar Glyder founder Rigo in their garage years. From 2003 to 2013, Sugar Glyder honed its sound at venues like Fat City and Tremont Music Hall. And that sound was nothing like the metal and punk bands they shared bills with. 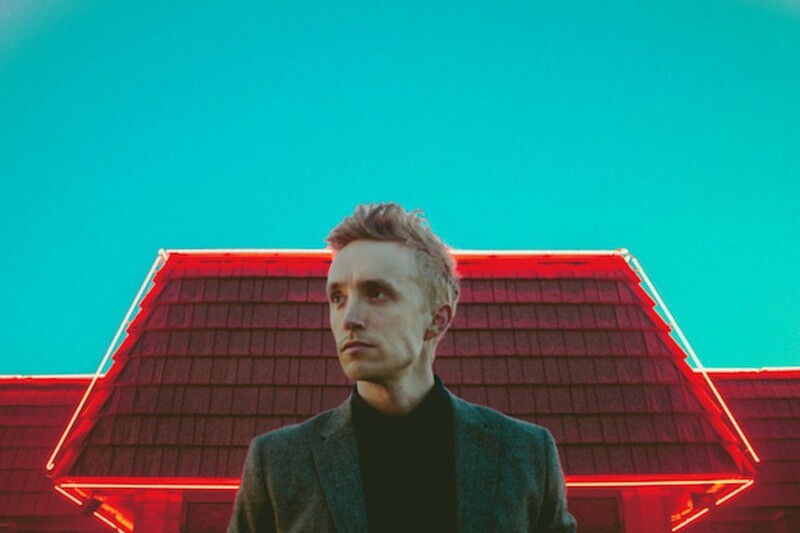 It was a mix of indie experimentation with pop-song structures and dramatic dynamics reminiscent of Muse or Snow Patrol — "bands that had theses grandiose choruses that would literally be an explosion of sound, but that also had this sweet, subtle kind of melancholy," Howie says. "I gravitated to sad melodies, but with music that's very anthemic — that shifts from that sad, morose music into these big, explosive choruses. A lot of ups and downs and louds and quiets." Around that time, Howie developed his signature, high-pitched vocal style purely by accident. He wanted Sugar Glyder to stand out amid the roar of lumbering hard rock and punk bands. "We didn't have the best equipment, and I specifically had to try hard to be heard over music," he remembers. "So I wrote everything and sang everything in a higher register. I had to just push everything, which in retrospect was for the best. It gave us a sound that was exciting and energetic." Charlotte music fans took note, and after the band self-released four solid albums — The Unsaid and the Obvious, in 2006; We Cracked the Sky, in 2008; Poor Baby Zebra, in 2009; and Lovers at Light Speed, in 2011 — major labels began taking note, too. In 2011, Sugar Glyder played an unofficial show at the South By Southwest Music Conference in Austin, Texas, for reps from ORG Music, a vinyl reissue label which had released a few original projects including new works from Mike Watt (Minutemen, Firehose) and Josh Klinghoffer (Red Hot Chili Peppers). The label signed Sugar Glyder and released The Eyes: They See, which was a leap forward for the band in terms of sound and production. The record got good reviews, and the video for "Lost in the Woods" won director Josh Stauffer a "Best Music Video" award at the 2013 Los Angeles Cinema Festival. ORG was ready to push Sugar Glyder hard, but then everything fell apart. "It was certainly disappointing to have Sugar Glyder break up so soon after the album's release," says ORG's Andrew Rossiter. "With a developing act like Sugar Glyder, that makes it nearly impossible to recoup the money or energy we spent on the album, which is always disheartening." (ORG has since returned to releasing reissues only.) Howie felt bad about letting ORG down, but he moved on with his life, getting a straight job to help support his wife and family. "Super Glyder was a full-time effort, so coming out of that was a big bounce," Howie says. "The questions for me at that time were: How do you support a family? How do you pull in a real income? I'd always had a lot of support growing up and throughout Sugar Glyder's years of touring and traveling. At some point I realized I wanted to give back. So when the band broke up, it gave me the opportunity to start a career." Musicians don't just stop making music, though, and Howie couldn't stay away from it for more than a year. Fortunately for him, Red Ventures doesn't discourage its employees from having side hustles, so Howie got busy again tinkering with songs. But he plans to take things much more slowly with Mouth Sounds. He's in no hurry and is no longer chasing fame or fortune. "The life cycle of this project is not about working at a breakneck speed of putting an album out right now and then touring right now, and then putting another album out. I'm pushing that model aside," Howie says. "And if you're not in this business to make money — and I'm not — then it's not necessary to work like that. I want to create the cicada life cycle of a band [laughs] — underground from seven to 17 years and then let it hatch when it's time, not try to force it out of the ground before it's ready." Howie has an outline for how he'd like for Mouth Sounds to develop: He plans to do seven songs on seven different albums, beginning with Sing or Swim. "Seven is just the perfect number," he says. "There are seven notes in a scale, seven colors in a rainbow, seven days in a week. Seven years is when you get the itch." He laughs at his own enthusiasm. "It's just a good solid number, and it gives me form with which to wrap my ideas around." As far as creating a massive fan base and going out on the road, Howie says he's not overthinking that. "There are people who will like it and people who won't," he says. "And that's completely OK with me. Even if only two people like it, I'll be doing this for the rest of my life." He smiles and shrugs: "This is what I do. I make music. I always will."